These shoes are my latest addition. Sneakers are my all time favorite shoes, they're comfy and if you have the right pair you can wear them at for occasion. I didn't have silver sneakers yet. The nice thing about silver is it's colorless and minimalistic but at the also an eye catcher that is easy to combine with neutral colors without being too much. Among the metals, silver has always been my favorite. My jewelry, bags and jackets always need silver hardware, so these shoes are a perfect match! Zoals ik al vertelde en jullie uiteraard ook kunnen zien - duh - is de rest van mijn outfit volledig grijs. Een combinatie die toevallig tot stand is gekomen. 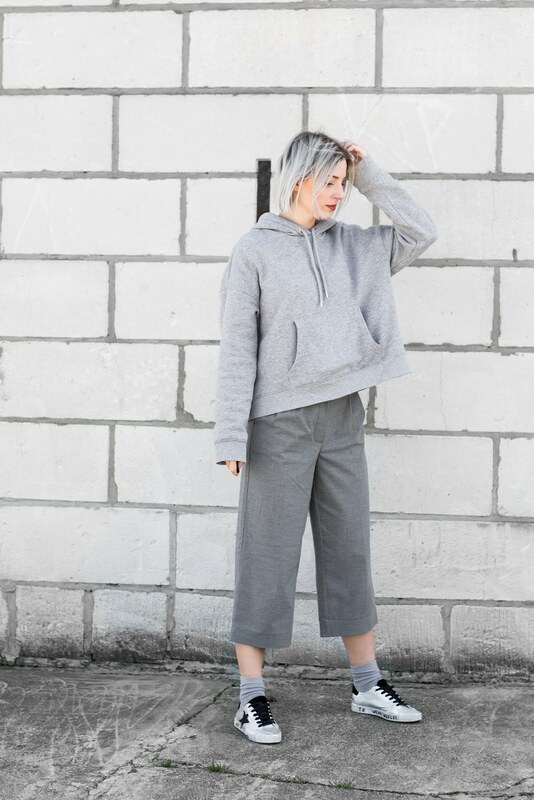 Grijze oversized hoodie, grijze culotte broek en zelfs grijze sokken. Het doet me stiekem een beetje denken aan een minimalistische skater outfit, oke waarom ook niet! As I already told you, and you also can see - duh - the rest of my outfit is all grey. A combination that happened accidentally. 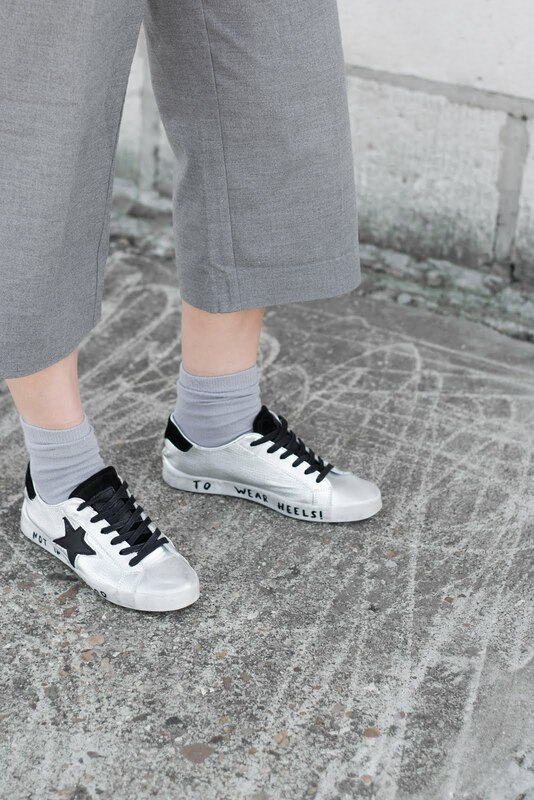 Grey oversized hoodie, grey culottes and even grey socks. This looks secretly reminds me of a minimalistic skater outfit, ok why not!